Q: What made you leave the world of investment banking for film? A: Since I was a boy my dream had always to been to become a filmmaker. My best friend and I had grown up in England making home movies in our spare time which we then screened for our families and friends. We had borrowed an 8mm camera from our parents and just began shooting. After I left Vassar as a film and theatre major with a BA in Liberal Arts the job market was fairly grim, especially in the world of Film. I had worked a couple of summers on the Frankfurt Stock Exchange and so I enrolled in the Morgan Stanley trainee program and began my career on Wall Street. The year was 1991. My journey took me to four major blue chip financial institutions and I worked in six different cities, including new York, Atlanta, Frankfurt, London and Zurich. By 2003 I had been part of the biggest bull market in history, run my own trading fund; IPO’d some of the most notable Biotechnology companies in the world and achieved most of my goals in business. It was at that time that my boss at JP Morgan sent me to a week-long seminar in London with the aim to motivate and focus me further on my career in Investment Banking. However, it was there that I rediscovered my passion for film and realized that it was this dream that I had always intended to pursue and that if at the age of 34 I did not make the attempt to do so, I might regret the move for the rest of my life. So three weeks later, I quit my job at JPM cold turkey and set off to pursue my dreams as a filmmaker. I woke up the next morning realizing that I didn’t have a clue as to how I would achieve that and thanks to divine intervention I suppose, I was accepted at the American Film Institute in California where over 1000 applicants vied for a 28 spot program. Somehow I got lucky and thus arrived in Los Angeles with 4 suitcases on a hot August afternoon in 2003. I never looked back. A: To me there are two critical aspects to this question. 1. Story story story – in other words to me it’s all about a great script. and 2. you have to be able to make that story for a good price. Once you have achieved that the third element is a lot of luck because an audience is so very unpredictable. Q: Do you think that the film industry is ultimately liberal or conservative? A: Undoubtedly liberal It has to be in order to allow art and expression to mix and allow for great story telling. Q: What is your role at AFI ? A: Although I never graduated the producing program I had enrolled in – I dropped out in the second year after having been hired by my then mentor, maverick film producer John Daly (Platoon, Hoosiers, The Terminator, The Last Emperor), I was asked in 2012 to become a founding member of the American Film Institute’s National Council. A board that exists to further the mission of the AFI – to Honor the country’s most prominent filmmakers, to Preserve the country’s greatest cinematic works and to Educate the country’s next generation of filmmakers. It was a huge honor for me and gives me a chance to give back to the institution from which I was born into this industry. Q: What do you look for in a person when awarding the AFI life time achievement award? A: The winner of this prestigious award must have made a significant contribution to the global cinematic stage whether behind or in front of the camera. This contribution should serve to inspire audiences, peers and students alike and have been sustained over a whole body of work. Q: What makes a film a classic? A: Two fold – either it has inspired a generation during the time that it was made and/or it is story-telling that is timeless and continues to draw an audience over multiple generations because of it’s ability to emotionally satisfy them. Q: What is the strangest thing you have ever been asked to invest in? A: Hmm…that is a good question. I have been approached on so many different ideas that it would be hard to pick one. I did get asked once to look at a company that had built a machine that could turn air into water. Does that count? Q: What is your strangest film set story? A: I remember when I was making PLAYED with Val Kilmer and Gabriel Bryne. The film was brought to me by a little known actor at the time – Mick Rossi – they had filmed a significant amount of the film and I recall coming to set and realizing that the whole picture was being improvised and that no script existed. Somehow we managed to pull off a fun film but the strangest part came later when I had to have my assistant type up a script from the locked picture to submit as a deliverable item. Curiously the film went on to win several awards, including Best Script! Funnily enough, improvising a film is now become somewhat mainstream…take my good friend and Sundance darling – Drake Doremus whose first feature film ‘Moonpie’ I produced while I was making PLAYED, has become very successful at making wonderful films without the need for a written script. However, back in 2005 this was still a very big risk. the good news is we sold the film to Lionsgate for a good amount and the film ended up being sold in over 20 countries worldwide. Not bad for a film with no script. It reminded me of my youth when I was making films for my friends and family. Q: Did you think the media coverage of the JP Morgan silver scandal was fair? A: No comment on this one. 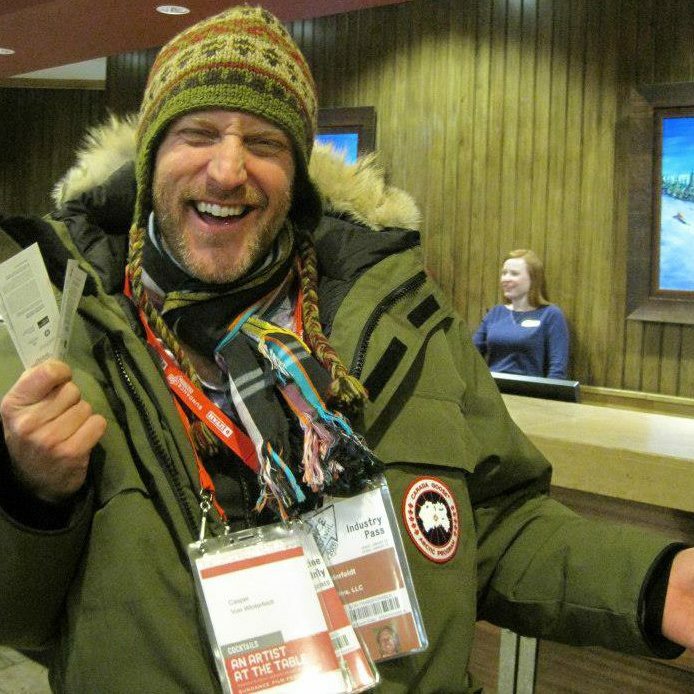 Q: Why is it important for film investors to attend Sundance? A: I think you won’t get an opportunity as rich as at Sundance to attend great screenings and watch remarkably talented filmmakers at work. As an investor you subsequently are able to network with these filmmakers in a way that is so natural and removed from the Hollywood ‘game’ that you often find opportunities that you wouldn’t be able to back in the ‘real world’. As a result I think to miss Sundance is insane. I have been coming here for 8 years and each visit enriches my business and my circle of friends and colleagues in the industry beyond that which I can achieve during the rest of the year.